We were pleased that Mrs Recycle came into school to tell us more ways we can help our environment. 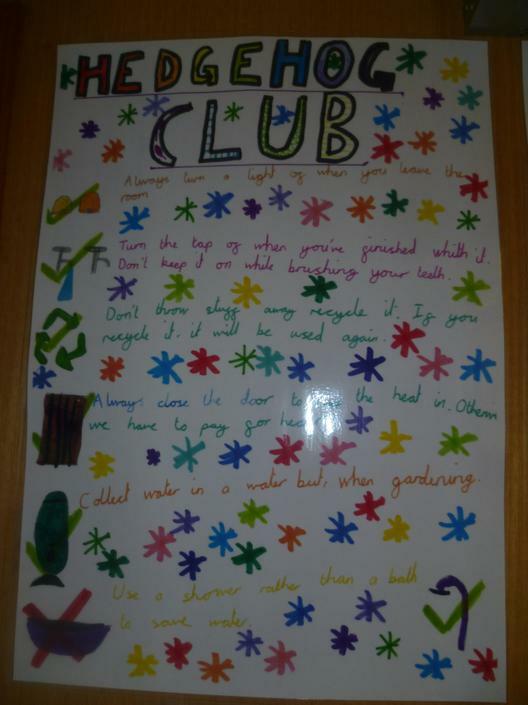 The hedgehog club wants to try and reduce the amount of water we waste and Mrs Recycle judged the competition for us. 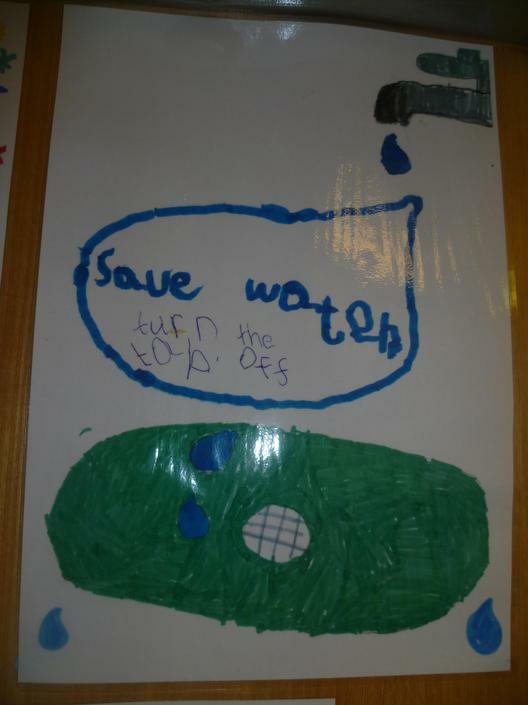 Thomas and Flora were the winners – their posters are now around the school to remind us to turn off the taps and different ways we could use less water.